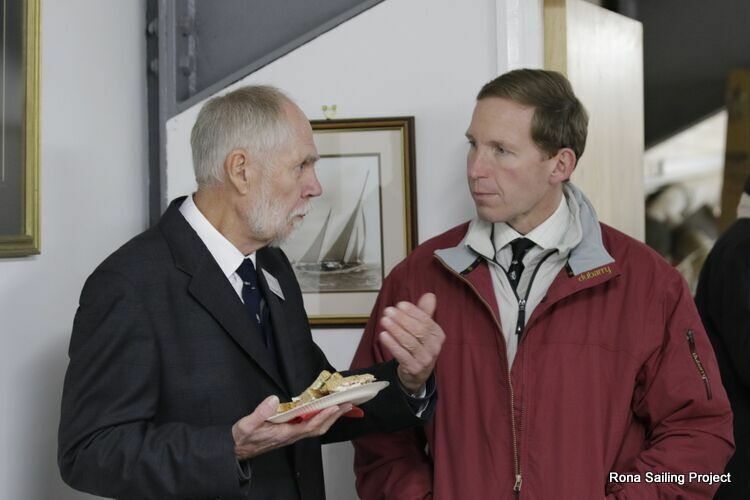 We wish to extend our sincere congratulations to Chris Wolley MBE, a Trustee, Skipper and Chief Instructor of the Rona Sailing Project, on receiving a well-deserved RYA Community Lifetime Commitment award. The annual RYA Volunteer awards; the MBE’s of sailing recognises the outstanding contributions made by volunteers throughout the UK. Recipients of the 2018 awards and their guests were invited to a special presentation ceremony and luncheon in London on 16 November. Chris was one of over 50 volunteers from across the country who were recognised for their exceptional dedication and achievements in boating when they received an RYA Volunteer Award. Chris received his award in recognition of his lifelong commitment, on an entirely voluntary basis to The Rona Sailing Project. The awards were presented by HRH The Princess Royal to volunteers across the UK in an awards ceremony held in London. Chris joined the Project in 1967 as a Trainee, he became a Skipper in 1975 and a Trustee in 1997. We extend our sincere thanks to him for his incredible contribution to the Project since.